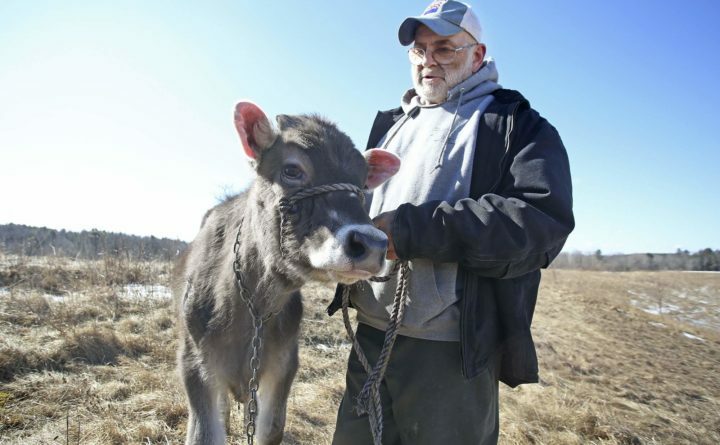 Fred Stone, owner of Stoneridge Farms, Inc., holds his six-month-old cow Lida Rose on Tuesday. Stone said his dairy farm has been ruined by chemicals in sludge the state approved for spreading. ARUNDEL, Maine — More than two years after learning drinking water and milk tanks on his 100-year-old Stoneridge Farm were contaminated with a class of chemicals linked to cancer and other health concerns, farmer Fred Stone still can’t sell his milk and is losing hundreds of dollars a day, every day. Kate Manahan of Kennebunk speaks at a news conference Tuesday in Arundel, where she said her drinking water has been contaminated by chemicals best known by the acronym PFAS. 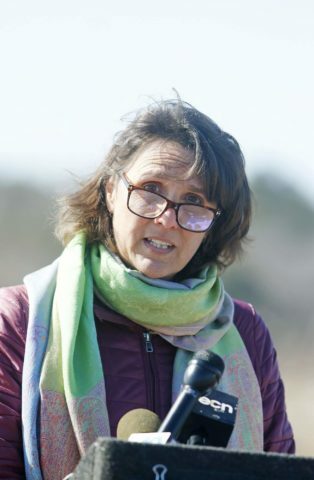 Discovery of PFAS at Stoneridge Farm came after the chemicals were detected in the water at the Kennebunk, Kennebunkport and Wells Water District’s Kimball Lane well in West Kennebunk, which was shut down in 2017. Tests in the spring of 2016 showed PFAS levels of 50 parts per trillion, below the Environmental Protection Agency’s health advisory of 70 ppt set in May 2016. Water district officials waited a year to notify the public, and several months before notifying Stone that a test well on his farm registered PFAS levels in excess of 140 ppt — twice the EPA’s health advisory. Kennebunk Water District Superintendent Norm Labbe last February said the district waited to notify the public of the PFAS that shutdown the Kimball Lane well because the Department of Environmental Protection was still investigating what it called an “emerging contaminant” and asked them to wait until it complete its studies.